Heneghan’s Dunwoody Blog: Dunwoody Police Christmas for Kids toy drive has started - toy bins located at City Hall. Dunwoody Police Christmas for Kids toy drive has started - toy bins located at City Hall. 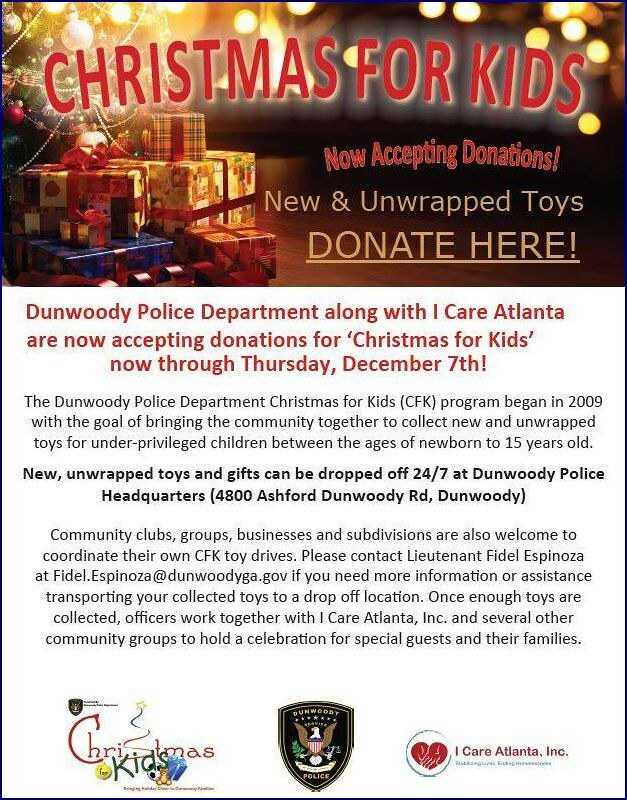 The Dunwoody Police Department is excited to announce that their Christmas for Kids toy drive has started. Their goal this year bring a little Christmas joy to 100+ local children. New and unwrapped toys & gifts can be dropped off at the police department 24/7 (4800 Ashford Dunwoody Rd). The goal is to have all the toys we need by December 7th - can you help?